Bushnell is one of the most recognized and popular high-performance sports optics brand in the world and has been an industry leader for more than 65 years. They constantly explore emerging technologies in sports optics that pair leading-edge design with performance innovation. It is this dedication that has made Bushnell conquer the sports optics industry. Now that we know that brand is a trusted one let us look into the best Bushnell binoculars online. It all started back in 1948 when they began to produce mail order binoculars. Their aim was to produce precision binoculars that is affordable by the middle class. They revolutionized the binocular industry by making them widely available to the average person for the first time ever. They banked on the fact that post-World War II, American citizens wanted to explore the natural wonders of their country like never before. Since then they have made huge progress by not only producing binoculars but a range of other products including riflescopes, spotting scopes, laser rangefinders, trail cameras and other outdoor technology gears. Bushnell is a big player in the sports optics category and has been known to win several awards for their innovative products. The success of the company depends on their guiding principle which revolves around making high quality, most reliable and affordable sports optics products which gives all other makers a run for their money. Their commitment to outstanding customer service and strong retailer partnerships is what makes them unmatched in their field. One of the striking features of Bushnell is their focus on the outdoors. Almost all their products are capable of enhancing the enjoyment of every outdoor activity, be it nature observation, wildlife viewing, birdwatching, spectator sports, hunting, fishing or stargazing. Bushnell takes pride in the fact that they were the ones who brought binoculars to the masses. Also, the laser rangefinder category was invented by them. They have built their reputation over the years by committing to deliver an unparalleled view of the world. Their mission is to develop and market superior optical products that are capable enough to enhance the experience of outdoor and sports enthusiasts and leave them asking for more. In the world of binoculars, Bushnell has almost built a sort of brand loyalty, where the brand is synonymous with high-quality binoculars. They have been known to pick up “Binoculars of the Year” honors for several years in a row. When you take a look at a pair of binoculars manufactured by Bushnell, you will realize their binoculars sure have come a long way from those heavy, black, technologically-deficient military style war surpluses. The products that they make today are no less than the extravagant gears used in science fiction films. They have transformed from a mere imagination of overzealous filmmakers to reality. If you were to step back in time, no one would have believed you that if you were to tell them that binoculars could be used indoors as well. But Bushnell binoculars made it possible for the audience to close in on the action taking place in the sports arena or the performances at theaters and concerts. The USP of Bushnell binoculars is that they have something for everyone. According to the customer’s requirement and budget, there is always a Bushnell binocular that fits the exact specifications. Be it an outdoor activity or an indoor one, Bushnell has the ability to serve all your purposes. They have combined futuristic design, ergonomic comfort and streamlined casing for packing with the latest advancements in binocular technology, to manufacture binoculars that are capable of providing high quality and high definition images while being compact and sturdy. Bushnell has made advances in the low light binocular category as well. 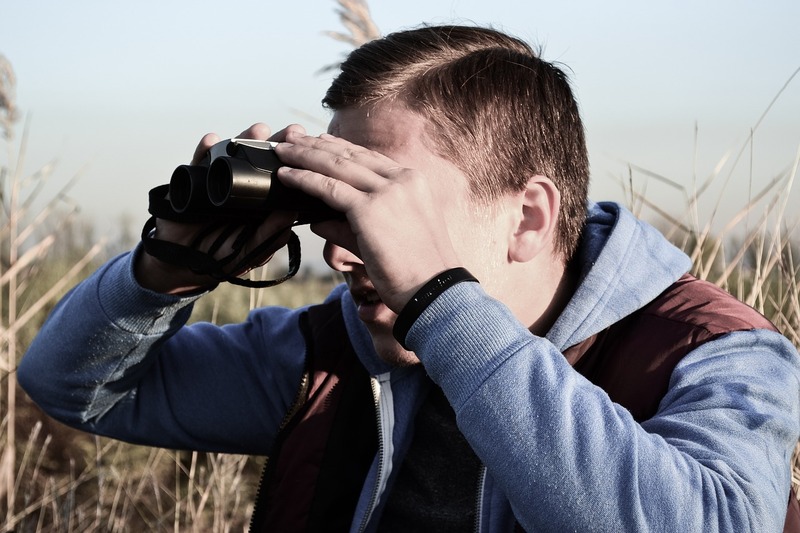 Low light binoculars are an essential item for people who go out for hunting and wildlife viewing. It acts as an outdoor gear that helps them view things even in low light conditions. Hunters and wildlife viewers are aware that most animals tend to move at dusk or dawn and that is when the wildlife is most active and visible. But the light conditions during that time makes it impossible for people to capture the spectacle. Bushnell produces binoculars that allow spectacular views in good light as well as during the dark hours. 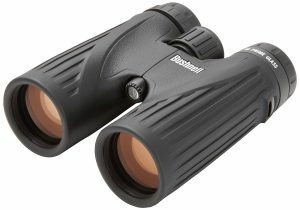 What to look for in a Bushnell binocular? Binoculars are optical devices that act as an outdoor gear for you to capture spectacular views and witness distant objects as close to you as possible. There are several factors that enable binoculars to work like they do. 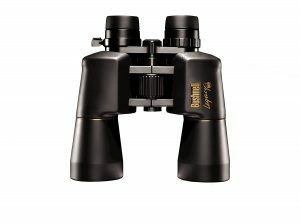 When you begin your research to find the best and most suitable Bushnell binocular, you will have to become aware of some concepts and terminologies involving optics. There are certain concepts that act as the factors which you need to consider before choosing the best binoculars for your conditions. One of the most important features of binoculars is its power to focus on images that are present at a certain distance, irrespective of whether it is in a stationary or a moving state. Convex lenses and prisms are two major things that are used to adjust the magnification and lighting respectively. One of the most widely used binoculars is the lower magnification (8x) ones. Since 8x power binoculars have a wider field of view, it presents images that are smaller, wider, brighter and easier to detect. If you are planning to follow fast moving objects, it is best to go with binoculars that have a wider field of view. Even though higher magnification binoculars are preferred due to their ability to add intricate details to the far off images, they come with a large aperture, narrow field of view, along with a bigger size and heavy design. Another thing to keep in mind is the lighting. As the magnification increases, you tend to see darker images in low light settings. Therefore, it is important to choose binoculars that provide a balance between the brightness and magnification of images. As you increase the magnification of the binoculars, you might notice that the view through the binocular starts becoming shaky and unsteady. Therefore, it is important to buy binoculars that have good image stabilization, especially if you are looking for binoculars that provide higher magnification, to counteract the imbalance of our hands. Binoculars make use of self-steadying features by deploying liquid filled prisms and gyroscopes that correct the shakes and jitters. Image stabilization binoculars are suitable for long term observations where muscle tiredness can deteriorate the steadiness of the hand, or if you are boating or moving in a vehicle. Therefore, to enjoy a clear and long viewing session, it is important to choose a pair of binoculars that have a good image stabilizer. A binocular’s design is what captures the attention of the buyers. Binoculars are often seen implementing technologies that are present during the manufacturing of telescopes. Some prevalent technologies are the Porro and Roof Prism design. Both of these prisms use an image-erecting prism to provide images that have a good orientation. The Porro prism binoculars are often referred to as “traditional” binoculars. Although they are not as compact and durable as that of roof prism binoculars, buying one of these binoculars will definitely give you your money’s worth. Roof Prism binoculars, on the other hand, usually have a cylindrical or parallel tube styling that allows them to be more durable and compact. Porro prism binoculars are cheaper but roof prisms are better when one is looking for a better viewing quality. Depending on the type of location and use case, you can choose your design accordingly, keeping in mind the budget. A pair good quality binoculars lets you adjust the focus of one eyepiece on the binoculars with the help of a diopter adjuster. The diopter adjuster is used to recompense for the differences between your eyes, so that you can see clear images through the binoculars. Before buying any binocular, make sure to test the diopter adjustment by choosing an object that is distinctive and far from the close focus distance of the binoculars. If you are someone who wears spectacles and hates removing them whenever you need to use binoculars, you can now purchase binoculars that provide eye relief. Many of the binoculars these days are being designed to provide a longer eye relief by letting users view through their binoculars even with their sunglasses or spectacles on. Eye relief is essentially the distance at which the images are projected from the lens to the focal point, with a variation of 5mm to 23mm. It is best to look for binoculars that provide eye relief of at least 15mm. Binoculars with less than 15mm eye relief might not allow you to see the full field of view with other eye-wear on. Price range is something that worries binocular buyers. Definitely, the top binoculars give immaculate images in a durable and comfortable package. However, not everyone needs all the features and are unwilling to pay the extra bit. There are lower-priced binoculars that also provide great features. Different types of binoculars have different price ranges. Hence, it is necessary to choose a binocular that adheres to your budget, and at the same time, covers the features that you need. What is the purpose of a binocular if it does not provide a clear and good quality image? 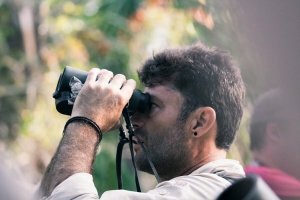 Binoculars that make you feel like you are viewing things from your own eyes, rather than a pair of lenses, are the kind of binoculars that are a must have. 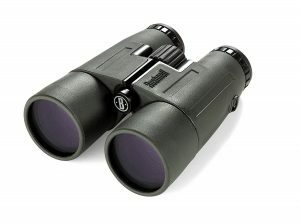 Bushnell binoculars have been known to provide crystal clear views and high definition visuals. Lens coating is yet another major factor that one cannot neglect while buying binoculars. It is necessary for the lenses to have smoothened surfaces that are coated properly in order to prevent irregularities. This does not allow the diffraction and scattering of light. In order to reduce the amount of light that is being reflected back, anti-reflective lens coating should be used. Lens coating also safeguards the lenses by preventing them from getting any kind of scratches, and also allows you to clean them from time to time. Additionally, with the help of advanced lens coating, binoculars are capable of providing amazing light transmission. It is important for binoculars to be water, fog and dust resistant since they are constantly used outdoors and are prone to get damaged due to harsh weather conditions. Resistance to harsh weather allows clear sights during rain, storm or cold weather. Also, one should always make sure to buy binoculars that have a good durability and come with excellent warranties. Having said all this, it is quite evident that we need to focus on a lot of factors before we finally decide on getting those binoculars that we love. Different individuals have different requirements and hence, it is important to choose binoculars that are most relevant to its use cases. Bushnell Legend Ultra HD Binoculars are considered one of the best binoculars for hunting and are unmatchable in terms of their performance and durability. These binoculars feature ED Prime Glass, Ultra Wide-Band Custom Coating, and RainGuard HD for the sharpest, clearest view in all conditions. The ED prime glass reduces color fringing to provide improved color resolution and contrast. The RainGuard water repellent technology keeps lenses void of moisture and helps maintain a clear view in any kind of weather condition. The Ultra Wide-Band coating improves light transmission. 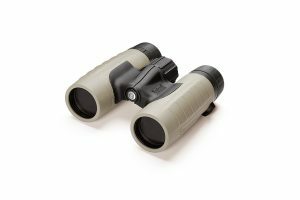 This elegant pair of binoculars employs roof prism lenses for higher visual clarity and brightness. Also, they provide a wide field of view producing high quality, super sharp and vibrant images. These compact, lightweight binoculars are a breeze to handle and they’re also as durable as they come while being waterproof and fog proof. The multi-coated lenses used by these binoculars result in sharp images, regardless of the distance. The non-slippery rubberized armor not only protects the binoculars from damage but offers a strong grip, even in wet weather conditions. The chassis made of a magnesium alloy makes them lightweight and compact as well. The Bushnell Engage Binocular Series is aimed at the higher end of the market. This series is a recommended option when it comes to proper optics protection and durability. They are laden with superior quality features that make them stand out from the rest. One of the most eye-catching feature is the ED (extra-low dispersion) glass lenses that prevent chromatic aberration, reduces color fringing and produces sharp images. Glass deformities and air bubbles have been a primary cause for image distortion and ED Glass lenses overcome them to produce high-quality images. The use of phase corrected BAK-4 roof prisms produces unmatchable visual clarity and brightness. Also, the lenses have a protective exterior coating which is one of a kind. The chassis is made of a Magnesium alloy that makes these binoculars lightweight and has a durable design. Bushnell Engage Binoculars are waterproof and fog proof as well. They possess lockable diopter adjustment ring which is a sign of good quality binoculars. 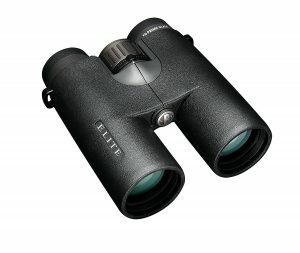 Bushnell Elite Binoculars are considered one of the brightest binoculars in their class. They are perfect for outdoor use even when the lighting grows dim. They are a popular choice among the wildlife viewers because of their superb low light performance. This is because wildlife is most active at dusk and dawn, which tend to be the dark hours. These binoculars are waterproof and fog proof and make use of the RainGuard coating that provides crystal clear views in almost all weather conditions. All air-to-glass surfaces of the binoculars are covered by XTR multilayer coatings to achieve a stupendous light transmission rate of 99.73%. The quality BAK-4 roof prisms with phase corrective coating produce outstanding image clarity and contrast. Also, the use a Hybrid Lens system provides sharp edges, image clarity and true color contrast usually offered by more expensive alternatives. The Elite series offers high quality at affordable prices. These binoculars are built from lightweight magnesium alloy with a rubber-armored coating and a scratch-resistant powder coat. Their long eye relief and twist-up eyecups make for comfortable viewing, even over long periods. 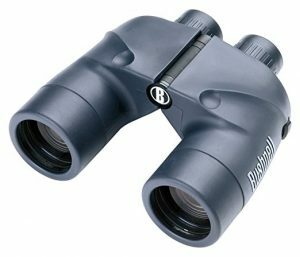 Bushnell NatureView Binoculars are perfect for all the outdoor enthusiasts, wildlife observers, and birdwatchers. They are capable of providing superior views and high-end features at affordable prices, yet don’t compromise on the quality. Although they are known to be good for outdoor activities, not all models in this series are water resistant. NatureView binoculars provide a diverse line of roof-prism, Porro prism and reverse Porro prism designs. They offer fully multi-coated optics for superior light transmission and have excellent close focus capabilities that help its users close in on the smallest of details. A focus knob makes adjustments easy and precise. 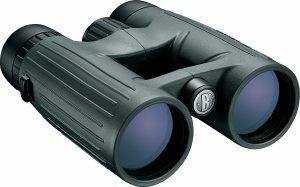 The BAK-4 prisms give these binoculars an exceptional level of light transmission, thereby providing bright and crisp views. These binoculars come with a non-slippery rubberized armor to protect the exterior while providing a strong grip. The extended eye relief makes long observations comfortable. 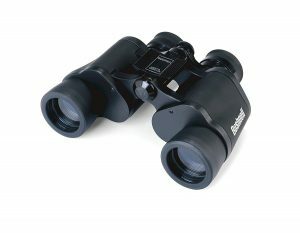 These pair of binoculars are an excellent value for money and can be used for almost all kinds of activities. Bushnell Excursion HD Binoculars are meant for all the outdoor excursions that you undertake and are known to be tough and resilient, yet lightweight. If you are into bird watching, hunting, wildlife observation, safaris or even game tracking, this pair of binoculars is the answer you’re looking for. They can be used in rough situations when you need to stay focused on a wide field of view no matter the weather conditions. These binoculars use BAK-4 roof prisms that feature wide field-of-view, phase corrective coating, and fully multi-coated optics. They are 100% waterproof and fog proof thanks to nitrogen purging. They even provide eye relief for prolonged observations. The fantastic levels of brightness and clarity remain unmatched by their counterparts belonging to the same price range. The easily adjustable and lockable central focus knob makes it a breeze to remain focused on your subject and keep them in your view. The high-quality optical components used in these binoculars ensure that a high-resolution image is delivered straight into your eyes which makes watching multiple targets a stroll in the park. Bushnell Legacy WP binoculars are lightweight, waterproof and fog proof pair of binoculars. By making use of nitrogen-purging and O-ring seals, they can easily be used on the water. Their non-slippery rubberized armor makes them easy to grip and are an ideal choice for water-related activities such as boating, kayaking, bird watching along the shore or just camping or hiking in the rain. These binoculars make use of Porro prisms that provide high performance at an affordable price. The BAK-4 prisms are phase coated for exceptional light transmission. The multi-coated lenses make the images super sharp and clear. The center focus is easy to adjust, making precision focusing easy as well. Bushnell Legacy WP binoculars offer high visual clarity while protecting your equipment, so they remain functional in the long run. They provide quality, performance as well as an overall strong design in a single package to make it easy to use. It’s a good choice for everyone because it can serve your needs efficiently no matter what the purpose is. 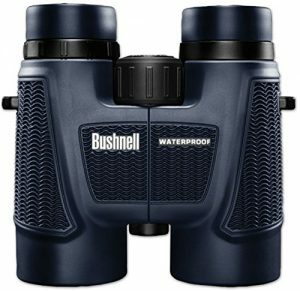 Bushnell H2O binoculars are the go-to pair of binoculars if most of your outdoor activities take place on or near water. If you love to go out and enjoy the nature in every weather condition, then you need a high-performance binocular that is water, fog and dust proof. And this is where Bushnell steps up and delivers by building a high-quality model that provides water, dust and fog resistance. They are perfectly sealed thanks to the O-rings and are purged with nitrogen. H2O models can withstand full immersion in the water remaining dry inside. Bushnell H2O binoculars have a durable and strong built with rubberized armor that has been constructed exclusively to remain firmly gripped in your hands even while you are fishing, boating, kayaking or simply sightseeing from a cruise ship. Long eye relief and twist-up eyecups make for comfortable viewing, even over long periods. The H2O model guarantees high-quality imaging along with exceptional light transmitting capabilities in all kinds of weather thanks to the multicoated optics and high-quality BAK-4 prisms. It gives you all the features that you expect from a high end binocular and adds the waterproof, fog proof and dust proof features to its list. Bushnell Marine Binoculars, as the name suggests, have been built to be used in water and can withstand extreme nautical environments. If you lack confidence in your own grip, then you can opt for one of the Marine models because they are sink-proof and have the ability to float in water. So it won’t matter if they slip out of your hands and take a dunk. The Marine binoculars from Bushnell are buoyant, waterproof and highly resistant to saltwater corrosion. They can be utilized on or near water for spotting fish and other animals, people requiring rescue, and any other pertinent object that demands attention. For this reason, they are quite popular with people on whale or dolphin sightseeing tours. The rubberized armor provides a sure grip in wet weather conditions, adds buoyancy to the binoculars and acts as a shock absorber in rough conditions. Some of the models in this series possess a 3-Axis Digital Compass and a laser rangefinder, which can be useful to navigate on water. Also, the compass is illuminated for easy viewing even in low light conditions. All Bushnell Marine binoculars come with a 7x magnification and 50 mm objective lens. They contain BAK-4, phase-coated prisms for efficient light transmission and brighter images. The lenses are multicoated for providing sharp, clear images with high color resolution and contrast. The Bushnell PowerView series lays an emphasis on quality yet affordable binoculars. The binocular models from the Bushnell PowerView series are versatile and serve a spectrum of magnification and field of view capabilities. They can be found in both wide angle and zoom constructions and make use of both come in both Porro prism and roof prism designs. Some models are compact, while others are full size. It’s the most comprehensive series in the Bushnell line, offering something for every activity or viewing need. 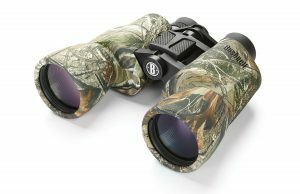 Bushnell PowerView 10×50 model is a dependable pair of binoculars which uses Porro Prisms and HD ready optics. The 10x magnification along with the 50 mm objective lens produces images that are clear and feature-rich at various distances. Some models feature Insta-Focus for quick and easy focus on moving targets. All the models in the PowerView series have multi-coated lenses to offer clear, sharp images, and coated prisms for optimal light transmission and high levels of brightness. Their beautiful design is durable as well and the quality materials used to manufacture Bushnell PowerView are long-lasting. They have a non-slippery rubberized body with fold-down eyecups, making them comfortable and easy to handle. Bushnell PowerView binoculars are an affordable choice and are a great companion for when you are out hunting. Bushnell Trophy XLT binoculars have been designed for hunters with a need for extra sharp clarity and perfect precision. Fitted with advanced roof prisms and glare-free multicoated lenses, Bushnell Trophy binoculars are world-class optics products that are considered to be the best in business. They are all water-, fog-, and dust-proof thanks to the nitrogen purging and O-ring seals and can be considered tough, durable and dependable. They are an ideal choice for hunting, hiking, camping, etc. Trophy XLT binoculars make use of BAK-4 prisms and multicoated lenses to provide bright, sharp and clear images without any color fringing. The objective lenses are protected by flip covers. They have an ultra-fast focusing system which is perfect for hunting. They also provide a very wide field of view and are capable of giving excellent performance in different light and weather conditions. They come with Dura-grip rubber coatings and soft touch thumb grips to make them comfortable for extended observations. The chassis is made of 100% high-quality materials which are extensively tested. 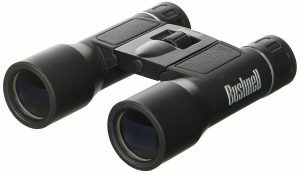 One of the unique features involves these binoculars being 100% lead-free, which makes them an environment-friendly model produced by Bushnell. At 25 ounces, they are a portable pair of binoculars. Bushnell PowerView Compact Binoculars are one of the handiest, most compact and flexible binoculars ever produced by Bushnell. They are a compact version of the PowerView series and are a professional-grade hunting binocular that can be folded for easy handling. They serve all the high-end features that you expect from a strong binocular and still weigh around 7 ounces. The Bushnell PowerView Compact Roof Prism Binocular is one of the best lightweight, flexible and high-performance binoculars available in the present market. Their lightweight construction provides the user an advantage of not tiring so easily in case of extended observations. The PowerView Compact series provides a sufficient range of magnification levels starting from 8×21 model, stepping through 10x, 12x up to the strongest, the 16×32 model weighing nearly twice that of the 8×21 model. These magnification options let you choose the level of detail that you need. The PowerView Compact’s BK-7 lenses along with the multi-coated Porro prisms provide clear images and an adequate level of brightness. It has an impressive field of view of 378 foot at 1000 yards. The rubber-armored body makes it non-slippery, shock resistant and durable, while its center focus provides sharp and clear views. This user-friendly pair of binoculars comes at an affordable price and a lifetime warranty. 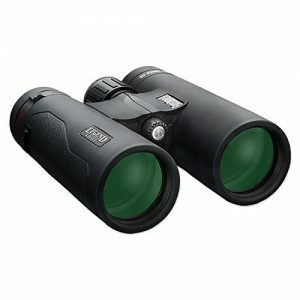 Bushnell Falcon 133410 Binoculars are ranked among one of the most powerful pairs of binoculars. They have set an industry standard in wide-angle optics. With a highly impressive 420-foot/ 1000-yard field of view, they are a powerhouse. These high-performance binoculars have a close focusing distance of 20 feet and are durable, to say the least. The glare-free HD optics, 7x magnification, and auto-focusing Porro prisms enhance their performance extensively. They come with a 35-mm objective lens to provide users a clear, crisp and thorough view of their subjects from up to a hundred yards. Also, their Insta-Focus feature allows a user to zoom quickly on their subjects without any magnification hassles. At 21 ounces, they have a lightweight and portable design and are easier to handle. The scratch-proof chassis makes them stand out from the rest. The durability, performance, good looks and efficiency all make Bushnell Falcon one of the best. Bushnell is considered a giant in the binocular industry due to their reputation and previous history. Their products are considered to be the best of the bests and you can easily go for them with your eyes closed and make them your next binocular brand. They guarantee to lead with unrivaled clarity, durability, and technology. In all of their products and ranges, they have made sure to incorporate these three measures more or less, depending on the requirement. They create the clearest images with high resolution and vibrant contrast by minimizing light dispersion and maximizing light transmission. Bushnell products are not only built to perform; they’re built to last. They leave no stones unturned to provide durable and high-quality products. They push themselves to explore new techniques and technologies in order to make advancements and bring revolutionized and improved versions of their products in the market. To make a positive contribution towards the environment, the lenses and prisms used by them are made from lead-free glass. Bushnell has laid out several models for various purposes that belong to varying price ranges. You need to be aware of your needs and the amount of money you are willing to spend, before making a decision about which Bushnell binoculars to buy. The best Bushnell binoculars are the one that suits your specific requirements and fit right into your budget.